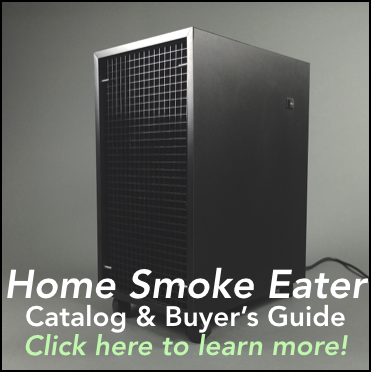 Looking for a Home Smoke Eater? My name is Dan Buglio and I've been solving smoke problems for homes and businesses Since 2003. I've seen, sold and tested most products out there and the products below consistently provide fantastic results for my customers. My Top Pick: Check out the Smoke Stomper - Home Smoke Eater below. After reviewing dozens of options from other suppliers, I have decided that this is the product worthy of being my top pick for residential smoke removal. Check it out and feel free to call if you have any questions. 1-888-472-8736. Step 1: Resolve as much of the smoke problem in the room where the smoker spends the most time. Our Smoke Stomper is the best in-room Home Smoke Eater. Click the logo below to learn more.. Step 2: If smoke and odors still spread to other parts of the home, consider a whole house Dynamic Air Cleaner to filter the air throughout the home. Call us for a personal recommendation. Every home and situation is different and requires a conversation to make sure you get the right product. 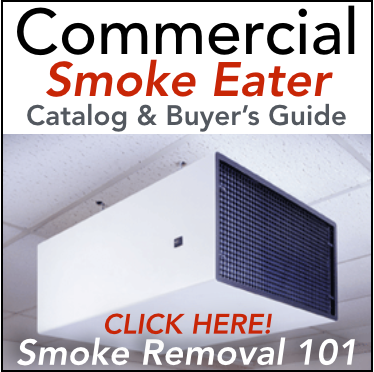 Want to learn the best way to handle smoke in a home? Create a dedicated room to smoke in. Click to watch the first video on this page.